1st Choice Plumbing, Heating and Drain Service offers AC repair financing in Essex County, NJ so that you can easily get your air conditioner fixed. As a fully insured, licensed and bonded plumbing company, we offer our customers flexible financing methods. 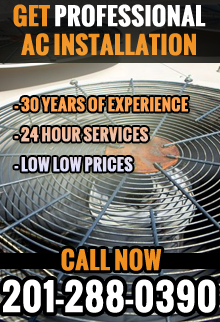 We understand how important it is to have a working air conditioner during the hot summer months and we provide you with comfort for an affordable price. For this reason, we offer the Home Climate Card™ Credit Card Program. The Home Climate Card™ Credit Card Program is a great advantage of AC repair financing in Essex County, NJ. With no down payment required and no annual fee, this financing system will help make financing air conditioner repairs much easier and affordable. This program also helps you gain credit for other repairs you may need in the future. This program includes low monthly payments, generous credit lines, competitive interest rates and a simple application to get the process started. The application process for 1st Choice Plumbing, Heating and Drain Service’s AC repair financing in Essex County, NJ is quick, secure and private. One of the most important aspects of this form is how easily accessible it is. You have the option to have your monthly statements sent to you via post or email and you can always check general information online. At 1st Choice Plumbing, Heating and Drain Service, our air conditioner repair services are covered by AC repair financing in Essex County, NJ. We will recognize your Home Climate Card™ when you use it for any of our air conditioner repair services including repair, maintenance and installation. With brands such as Lennox, Carrier, Amana, Laars, Goodman and Rheem, our professional plumbing company will work with you and your flexible financing options so that you can enjoy a climate-controlled environment again. We also offer 100% financing with no interest for one year. For more information about our AC repair financing in Essex County, NJ, call 1st Choice Plumbing, Heating and Drain Service at 201-288-0390.